2013 September | Was Mom Wrong? True or False – Water heated in a microwave can erupt and cause severe burns? This one sounds a bit hard to believe but it is true that water heated in a microwave can erupt and cause serious injury. Considering the millions of people who heat water for things like coffee and tea in microwaves, the phenomena of erupting water is rare. Think of the last time you boiled water on top of your conventional stove. Remember seeing small air bubbles form on the bottom and sides of the pot? Eventually these bubbles release from the surface of the pot, rise, and break the surface of the water. This is what we usually think of as “boiling”, the boiling point of water is 100C°. 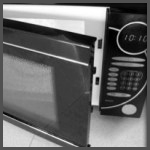 When heating water in a microwave, this normal boiling process does not occur. Rarely will you see bubbles form or boiling take place, even though the water can be extremely hot. Heating water in a microwave occurs much faster than on a normal stove, and this is one of the reasons the bubbles don’t form. The lack of bubbles actually allows the water to heat up to more than 100C, sometimes referred to as superheated water. 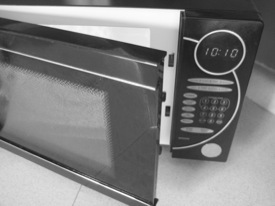 In an article entitled Microwave Mischief and Madness, Heather Hosack and colleagues (2002) write “Superheated water will flash boil or geyser out of the container if boiling is suddenly triggered by vibration, or by an object (like a spoon) or a powder or your upper lip.” Imagine if this happened while you were bringing the cup out of the microwave, it could cause the extremely hot water to erupt in your face or spill onto a nearby child. To prevent this from happening, add something to the water (e.g., sugar, wooden stir stick) before heating, let heated water sit for 1-2 minutes before moving, or use a container which is slightly scratched on the inside (helps with the formation of bubbles). Hosack H, Marler N, Maclsacc D: Microwave mischief and madness. The Physics Teacher (2002), Vol 40, pps. 264-266. True or False – Excessive tanning can damage internal organs? It is not true that tanning, even excessive tanning, can damage internal organs. Many falsely believe this because of a story (widely circulated on the internet) which describes a young woman trying to get a tan for her wedding. Supposedly this woman visited a number of tanning salons (some versions of the story say up to a dozen) two to three days before her wedding. The excessive tanning then resulted in her internal organs getting “fried”, resulting in her death. As hard as I looked into the medical literature, I couldn’t find a reference to this poor woman, so I feel confident saying the story never happened. Also consider that the rays from tanning beds don’t penetrate the skin more than one sixteenth of an inch. Tanning beds expose users to light bulbs that emit ultraviolet radiation, an artificial light similar to the light you are exposed to when you are out in the sun. Indoor tanning started to become very popular in the 1970’s and is a multi-billion dollar industry today. Because of the billions spent on indoor tanning, the industry is able to hire powerful lobbyists who work hard to block indoor tanning regulations both at the state and federal levels. Currently, only about half the states in this country have regulatory laws. 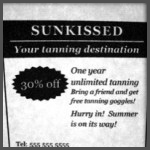 The tanning industry claims that tanning is safe and even beneficial to health. On the other hand, scientific and medical literature paints a much different picture. Levine and colleagues (2005), state that in recent years research has suggested an association between sun bed use and a significantly elevated risk of skin cancer. Additional adverse effects of indoor tanning include skin burn, allergic reaction, eye damage, wrinkles, and damage to blood vessels. Levine J, Sorace M, Spencer J, Siegel D: The indoor UV tanning industry: A review of skin cancer risk, health benefit claims, and regulation. Journal of the American Academy of Dermatology (2005), Vol 53, pps. 1038-1044. True or False: It is healthier to grill with propane than charcoal? There are millions upon millions of people who fire up their grills everyday in this country. I’m usually not one to exaggerate things, but I honestly believe that I could be given the title “World’s Worst Griller”. I don’t even want to think about how many steaks, hamburgers, pork chops, and chicken breasts I have scorched on the grill and had to throw away! It really is like the movie Ground Hog Day, because it happens over and over and over again. Usually the scenario goes something like this; I put some steaks on the grill, set the grill to medium or medium high heat, walk away to do something else for just a few minutes (e.g., pick up the yard, pick some herbs in the garden, play with the dog) and return to steaks that are on fire. 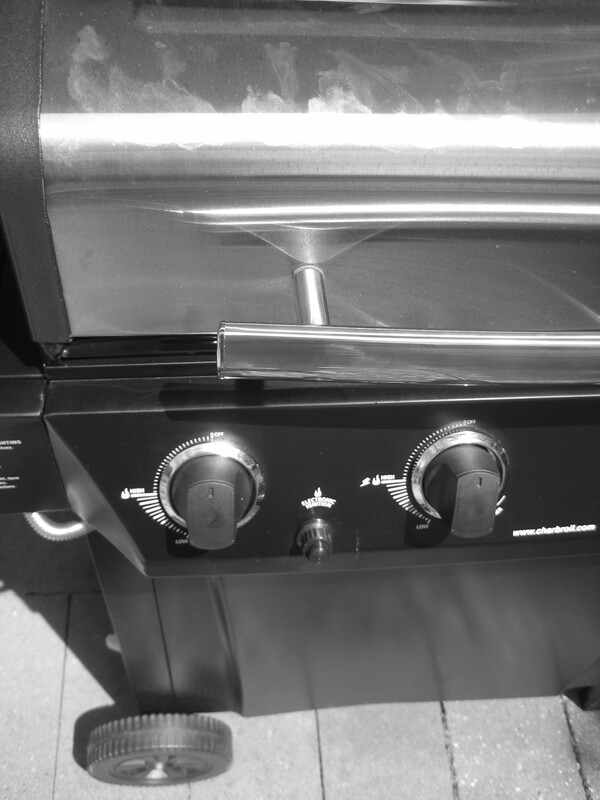 One day I returned to a grill that was entirely engulfed in flames. I couldn’t turn the gas off with the plastic handles on the front of the grill because they were completely melted; I had to use a fire extinguisher. Some people love grilling with charcoal and others love propane, but is using one healthier than the other? It appears that the answer is yes, and its propane. 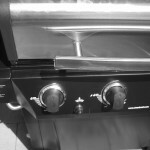 Authors of one study (Farhadian et al., 2010) which examined polycyclic aromatic hydrocarbons (PAH,s) which are carcinogenic compounds, reported that grilling with charcoal produced significantly more PAH’s than grilling with propane. One reason grilling may produce more PAH’s than propane is that charcoal usually burns hotter, so there is an increased risk of charring the meat. Some additional tips to reduce PAH’s in grilled food include turning meat frequently, partially cooking meat in the microwave before grilling it, removing any burnt parts, and marinating the meat in lemon juice before cooking. Farhadian A, Jinap S, Abas F, Sakar Z: Determination of polycyclic aromatic hydrocarbons in grilled meat. Food Control (2010), Vol 21, pps. 606-610. © Copyright 2019. Was Mom Wrong? All rights reserved.